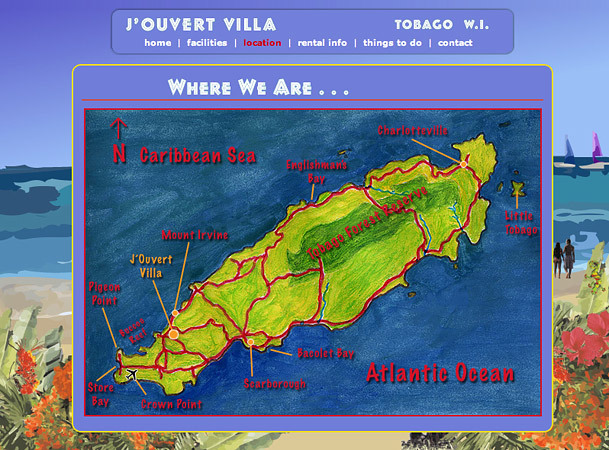 J'Ouvert Villa is a holiday rental property in Tobago. Their website showcases the property's features, amenities, and nearby attractions to prospective renters. 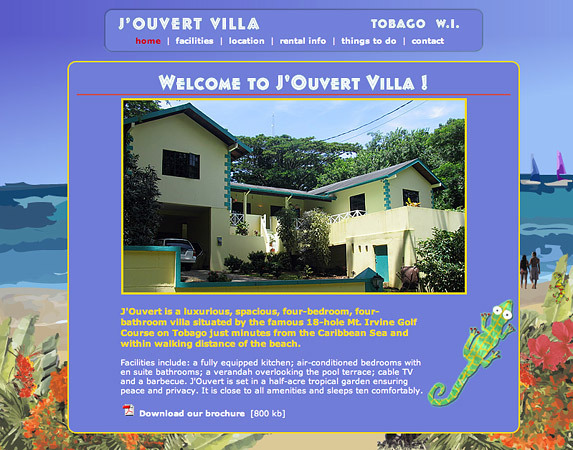 J'Ouvert Villa is a vacation property on the island of Tobago. The owners needed a website to convey the features and charm of the house to entice prospective renters. 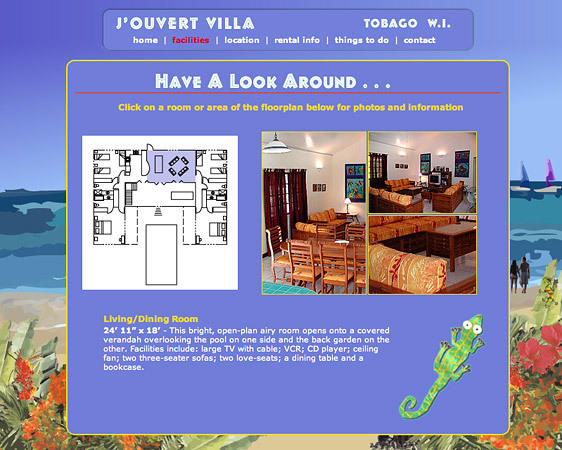 The website had to communicate the appeal of both the property and Tobago as an island destination. One of the challenges was to not only show off the property in photos, but also to provide a sense of space. By navigating a floorplan to load images, users can explore the photos in a spatially sequential manner, and in effect create their own walk through. To provide a sense of personality and charm, the site incorporated numerous hand-drawn touches that differentiate the website from the fairly uniform vacation property rental pages found on larger property management websites. These illustrations include a map of Tobago and layout detailing.